Kelowna, B.C. & Calgary, Alta. – RE/MAX is proud to partner with the Western Hockey League to present the second season of “RE/MAX Presents: WHL Suits Up with Don Cherry to Promote Organ Donation” – a series of events across WHL markets to promote the importance of organ donation and to generate further support of the Kidney Foundation of Canada. 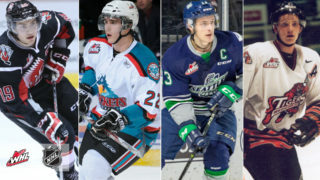 Beginning Saturday, January 19 through March 2019, all 17 WHL Clubs in Canadian markets will play host to their very own themed games, complete with a variety of special promotions for fans in attendance. Each game, a total of 1,000 limited second edition Don Cherry bobbleheads will be distributed to fans in attendance, along with 1,000 plaid RE/MAX drink koozies shaped like a house. Fans in attendance will also have a photo opportunity with a life size Don Cherry cut out. On the ice, WHL Clubs will sport their own unique and specially-designed Don Cherry-themed uniforms on a designated game night. This year, players will sport uniforms emblazoned with fun nicknames as opposed to traditional surnames across their shoulders. Fans will have the opportunity to bid on the limited-edition jerseys, with 100 per cent of the proceeds going to local chapters of the Kidney Foundation of Canada. In addition to game-worn uniforms, fans will have the chance to bid on one Don Cherry-autographed jersey in each participating WHL market. 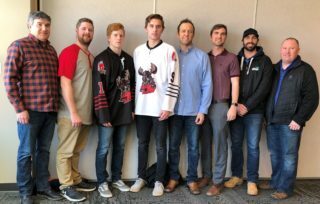 During the 2017-18 WHL Regular Season, participating WHL Clubs came together with RE/MAX to raise over $265,500, representing the largest public awareness and fundraising campaign in the history of the Kidney Foundation of Canada. The Kidney Foundation is a cause close to the Cherry family. Don’s son, Tim, received a kidney transplant from his sister Cindy. 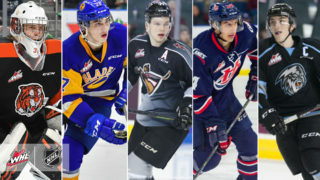 With close to 4,500 Canadians awaiting organ donation today – 76 per cent whom require a kidney – the Cherry family, RE/MAX and the WHL have come together to create this awareness campaign in support of the Kidney Foundation; who will have a booth at each game to field questions and hand out donation information. RE/MAX was founded in 1973 by Dave and Gail Liniger, with an innovative, entrepreneurial culture affording its agents and franchisees the flexibility to operate their businesses with great independence. Over 115,000 agents provide RE/MAX a global reach of more than 100 countries and territories. RE/MAX is Canada’s leading real estate organization with more than 21,000 Sales Associates and over 922 independently-owned and operated offices nationwide. RE/MAX, LLC, one of the world’s leading franchisors of real estate brokerage services, is a subsidiary of RE/MAX Holdings, Inc. (NYSE:RMAX). With a passion for the communities in which its agents live and work, RE/MAX is proud to have raised more than $150 million for Children’s Miracle Network Hospitals® and other charities. For more information about RE/MAX, to search home listings or find an agent in your community, please visit www.remax.ca. The Kidney Foundation of Canada is a national volunteer organization committed to improving outcomes of people with kidney disease. Since 1964, The Kidney Foundation of Canada has contributed over $115 million to medical research projects to ensure that treatment options and patient results continuously improve.